Sadly, the true meaning of Christmas has been lost in overcrowded shopping malls, where frantic shoppers buy, buy, buy and then post pictures of the piles of gifts they’ve given or received on social media. Yes, it is a time of giving – and we want to give our loved ones the best we have to give. But the whole point of Christmas is to celebrate the birth of Christ. How would He want his birthday celebrated? Everything we know about our Lord points to Him loving the poor, the sick and the needy. So if we really want to celebrate his birthday, we should follow his example and make sure that we also reach out to those in need. 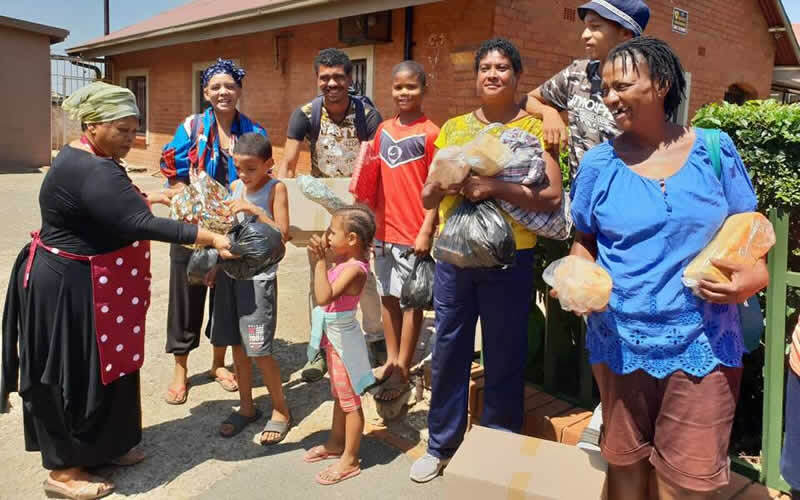 St Martin’s conference in Woodlands, Pietermaritzburg served Christmas lunch to 220 underprivileged kids – and handed out toys and sweet treats too. Young volunteers (hopefully aspiring new members) from Craddock assisted with packing parcels for distribution by the St Blaize conference. Over 200 guests were treated to a Christmas party by Our Lady of Sorrows, Nigel. Immaculate Conception conference in East London treated all the children at a child care centre with a Happy Meal and educational toys. St Peter & Paul conference in George prepared ‘Sweets and Treats’ for over five hundred children in the George area. The goody bags and those who packed them were blessed by Fr John Atkinson. Please click here for a selection of photos of our members in action in the weeks leading up to Christmas. May you all enjoy a well earned holiday with your loved ones, and continue the spirit of the season into the coming year.